Eurodollar is moving near several fibo-levels. Possibly, after slight correction, price may start growing up again. Main target area for bulls is at level of 1.3970, where I’m planning to close my orders using Take Profit. 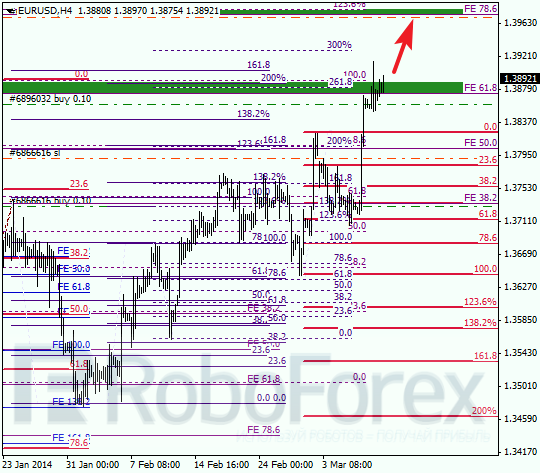 As we can see at H1 chart, target of this local correction is at level of 38.2%. Possibly, pair may rebound from this level during the next 24 hours. In this case, I’ll increase my long position. Last Friday, Franc reached new minimum. 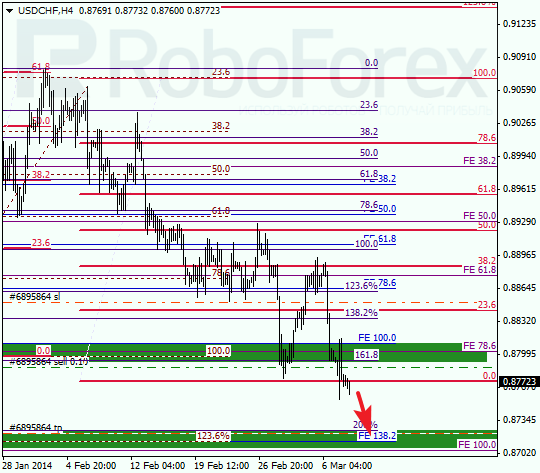 Main target for bears is close to several fibo levels at 0.8720. Most likely, pair will reach this target during the next several days and then start new correction. 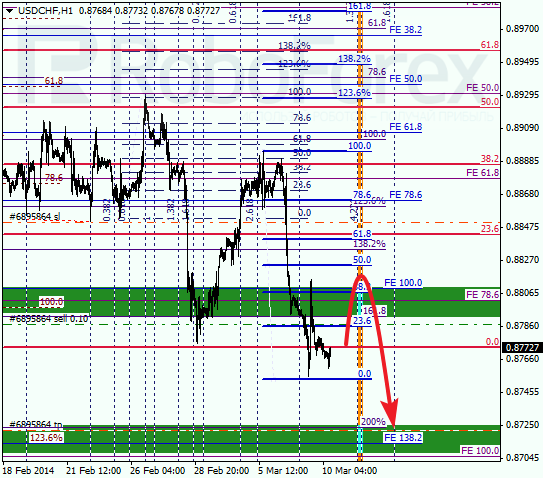 At H1 chart we can see, that current correction may yet continue. Probably, bulls may try to test level of 38.2% once again. If price rebounds, pair may start new descending movement.